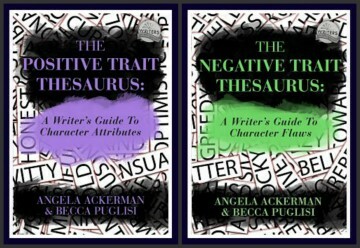 The samples below are simply a small taste of what you’ll find in The bestselling book duo, The Positive Trait Thesaurus: a Writer’s Guide to Character Attributes and The Negative Trait Thesaurus: a Writer’s Guide to Character Flaws, available in 3 languages and used by writers to forge unforgettable characters all over the world. You can also find this thesaurus collection and many others at One Stop For Writers, a powerful new library for writers that you have to see to believe. What is a Character Traits Thesaurus? To find out more about these books, go HERE.